When people begin committing suicide through a number of violent ways, including smashing their heads into glass and crashing their cars into other cars, it turns out that there's an entity that takes on the form of people's worst fears, which has been leading to mass suicides. 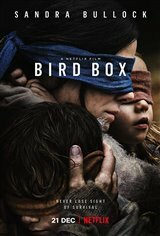 When Melanie (Sandra Bullock) witnesses what's happening, she gets her two young children and with all three blindfolded in order to not be able to see the entity, they go on a desperate, dangerous journey to find a safe place, away from the chaos. "Great concept, plot and backstory. 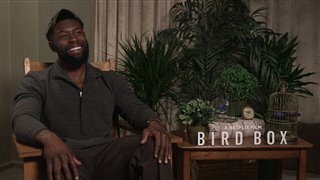 There has been much talk of this movie prior to the end of 2018 also even creating a social media challenge known as the "bird box challenge". This challenge I would not recommend unless of course you want to seriously hurt yourself or potentially die...3/5 stars, as I thought it would be more exciting based on social media buzz created, however this is nothing to get extremely excited about - save the popcorn..."